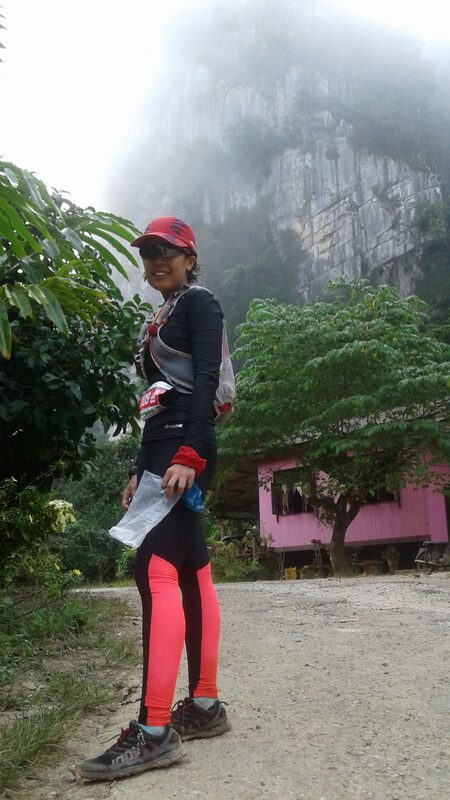 The Sorely Magnificent 100KM of Merapoh Trail | JustRunLah! But to get through the 100km storm is torturous to say the least. 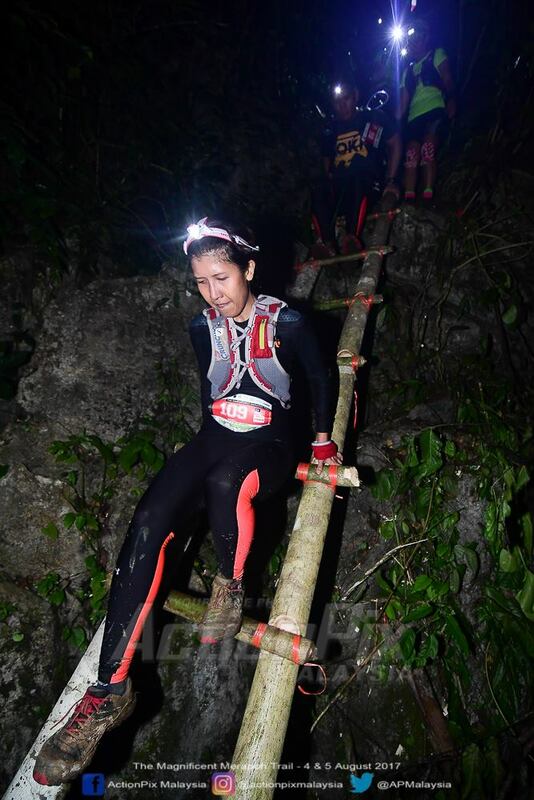 Running through the dark trail, going up the stab-in-the-calves hills, waddling through the 3-km plus river, being electrocuted by the fence, getting bloody blisters, roasting under the blistering heat, with endless cuts and bruises in between. Darn it, it was fun, but also excruciatingly agonising. Still, it was a splendid 100km, 19 hours 30 minutes (I’m not sure about the real timing; I seem to have lost the ability to count, or look at the watch properly. Come to think of it, I don’t even have a proper sports watch to begin with) worth of memories. Every single step, every single minute, every single second. The journey to Merapoh itself wasn’t a smooth one. There were bumps and hurdles along the way, added with the jitters and the tense and getting cold feet (and hands) even towards the very last minute. “We’ve come this far, we might as well make it till the end”, I was told. Or at least get to the start of the line. 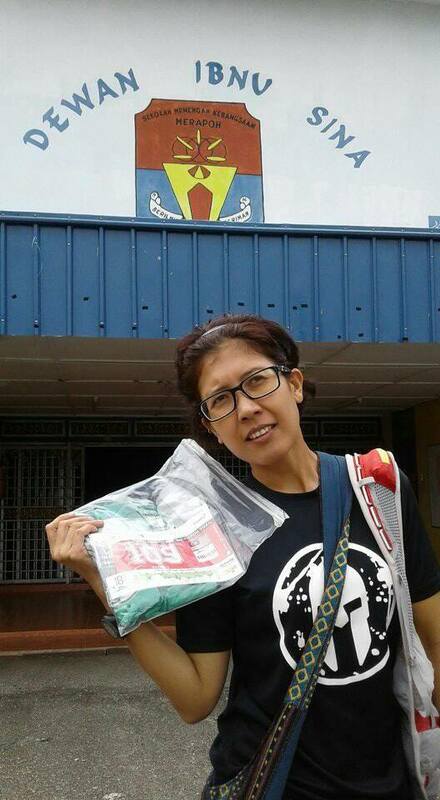 Kampung Merapoh, August 4, Friday, 9pm – 100km runners’ flag-off. 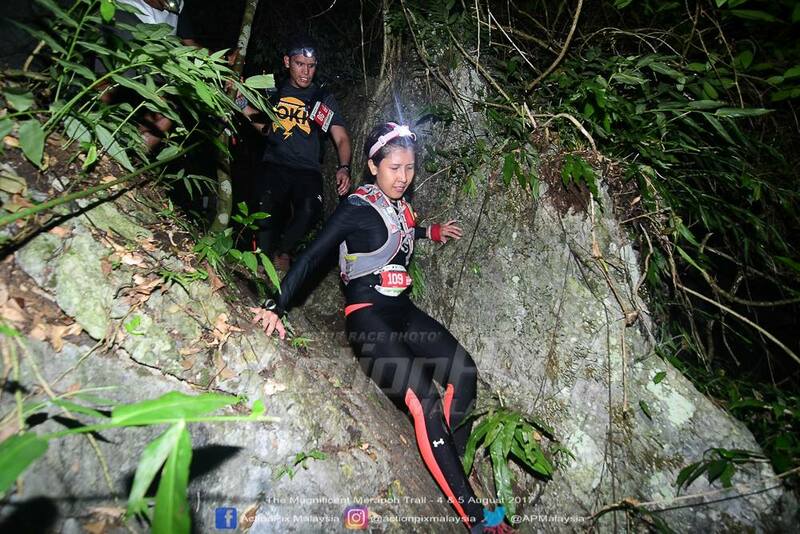 Countless of ‘all the bests’, ‘good lucks’, ‘run safe’ greetings were exchanged, warm-ups and stretches all done and then before I knew it, the fireworks exploded in the air marking the start of The Magnificent Merapoh Trail 2017. Off we went into the darkness of the night, with just head lights and blinkers as guides. The mission was to get to KM43’s KTMB Merapoh station, marking check point (CP) number 4, before 4.30am, and we (initially) had 7.5 hours for that. Having made the grave mistake of being ignorant of cut-off time (COT) at check points during the previous 100km attempt – I was now much more aware of it, and only allowed 10 minutes max rest time at certain CPs. We were doing well, running up the hills and going on and on – until cramps started to hit me at only around 10KM. What a dung-load of fuss! (Wo)man down. But not for long. I was asked to stop for a bit, walk it off, catch a few breaths, and start again. 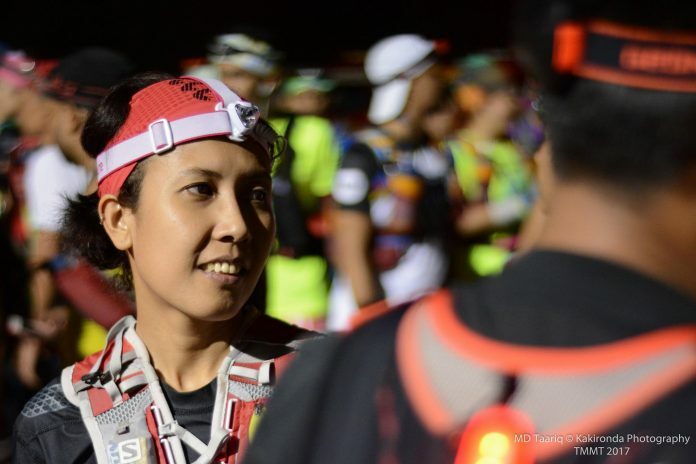 I was a wreck by the time we got to CP3 (32KM Ladang Tengku), but luckily it was dark – otherwise others could see what a mess I was – face smeared with sweat and tears. “Accept your life and what it brings, for tomorrow might bring better things” – The Kinks. Soldiering on, we got to CP4 well ahead of the COT time – and bought ourselves 2 hours of buffering time. Things were made slightly cheerier with the warm greetings from the villagers – we got kids high-fiving us, and even ran together until their parents shouted for them to stop – mind you it was already around 2am at that time! You guys made our night, you bunch of munchkins! Behold, the dreaded 3KM-plus Sungai Persik. At 4-ish in the cold, chilly morning. That waddling through slowed us down tremendously. It was uneven, full of sharp, slippery rocks and protruding branches, with uncertain depths that made balancing on a trapeze seems like a child’s play. And then, I lost myself under the river for a few seconds. That one tiny missed step was all it took for me to go under the water, and though panicking, I got back up immediately. And laughed myself silly – when all I wanted to do was just sit down and cry. I am a crybaby – I cry when I’m sad, I cry when I’m mad, I cry when I’m happy, I cry when I’m being silly. That’s just me. Take (me) it; or leave (it) me. Swaying on, we continued our river-crossing and it was only half-way through that I just realised the current was getting stronger – and it that split second, my buddy had a slight misstep and he was washed away by the waters! Holy mother of rivers! I can’t swim! How on earth was I going to save him?! I just looked at him helplessly for a second. Suddenly my brain was switched on again and I immediately looked around for a stick for him to grab on – for me to pull him to the shore. But before I knew it, he swam over to me and said he was okay. And laughed it all off. Shivers went down my spine. What if something happened to him? Nobody else was around at that time. What would I do? “But there have been some moments and I think, ‘Wow, my life could have been so different,’ and, ‘I don’t deserve this; I’m not worthy of this life.’ – J. Gray. Reassuring me that he was alright, we continued till the end of the marked river, and all I could think of was a steaming, hot coffee that I was hoping to get at CP6, at 61KM. With a change of dry socks. We got there at around 7am, the sun was about to come out, but there were no hot drinks available. The damn tears were about to burst again. 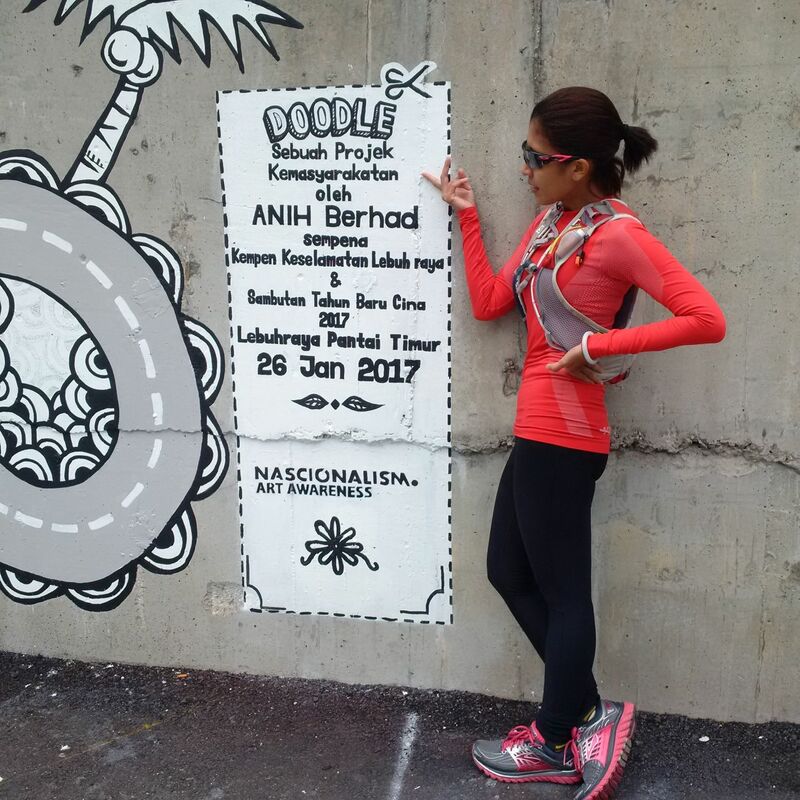 “Hang in there, let’s move on to CP7’s Rumah Seni – they’d have hot water there and you can have your coffee and oats,” – he soothingly told me. 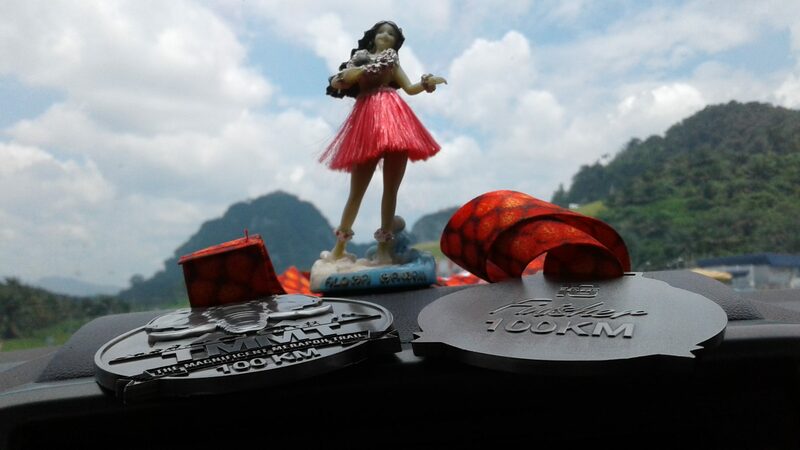 Holding on the tears (and sleepiness), we finally got to KM69, and gobbled down oats and coffee and took some painkillers, bumping into a senior runner who kept pushing us on with his motivating words. 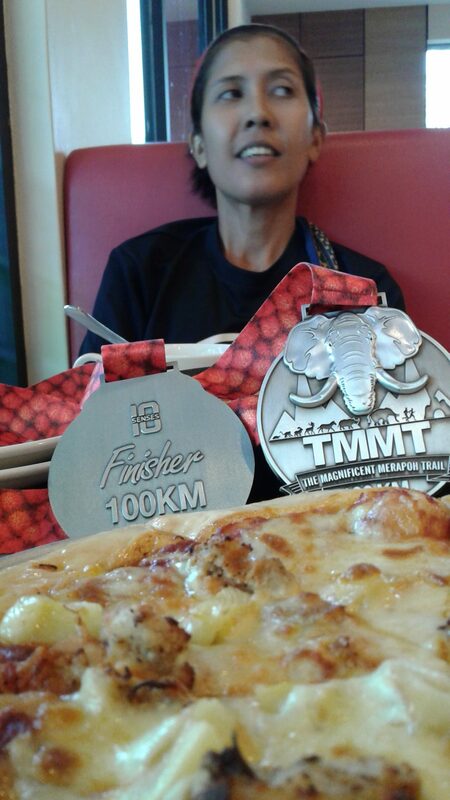 He knew what we went through the last time, failing to complete Titi’s 100km. No, not this time. We’d make it this time. “Whatever the mind can conceive and believe – You will achieve”. 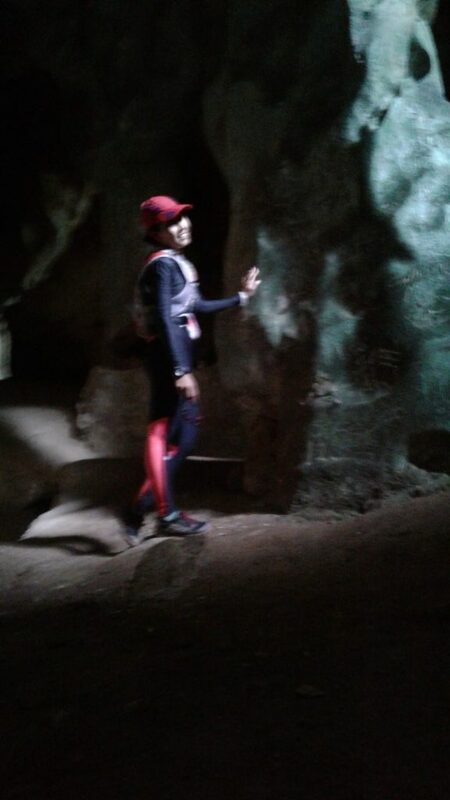 Talk about a rude awakening, the route to Gua Persik had me electrocuted. Yes, there were signs everywhere – but it only stated “DANGER” without saying what kind? I mean, my whole life has been in constant danger, what would it be this time? As it turned out, the villagers made electric fences around the cave area to protect their land from wild boars and wild animals. And with me being electrocuted (I brushed my thunder thighs against the electric fence, thinking they were just harmless ropes AND I was all wet from the river and sweat) – I guess I was made into ‘wild’ as well! 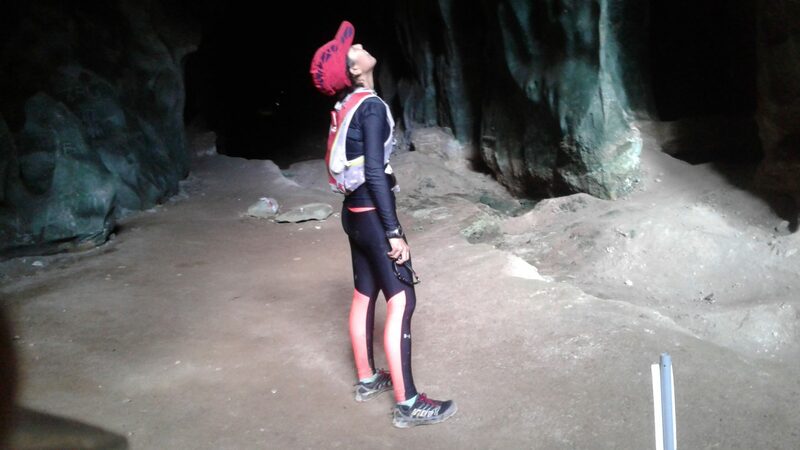 The Magnificent Merapoh Trail involved a whole lot of crawling in the caves – and they were majestically breathtaking! Shame that some of them were vandalised with graffiti and some of the forests were torn apart to make way for development though. You could see some lands being cleared off – no more trees, no more greens. By the time we got to 89KM CP – the heat was unbearable. Our feet started to feel like they were barbecued, and we could feel the blisters creeping and biting on to every bit of the feet. 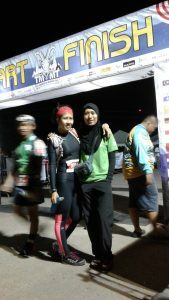 We had the time on our side, and all we had to do then is to sustain enough energy and might to get to the finish line before the COT. 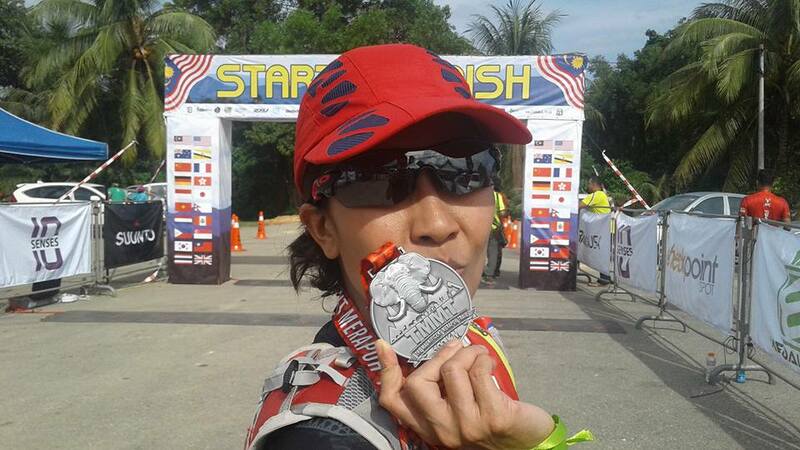 I was told by him, over and over again to just go for it, run to the finish line on my own and get the earlier glory. But I have never been the one who leaves. I do have fire in my soul, and a mouth I can’t control – but I don’t abandon anyone as a whole. “We’ve come this far, we might as well make it till the end”. We made it to the Finish Line, safe and not entirely sound. Our friends also made it with us, and those who didn’t, well they know that they’ll come back with a vengeance next time around. 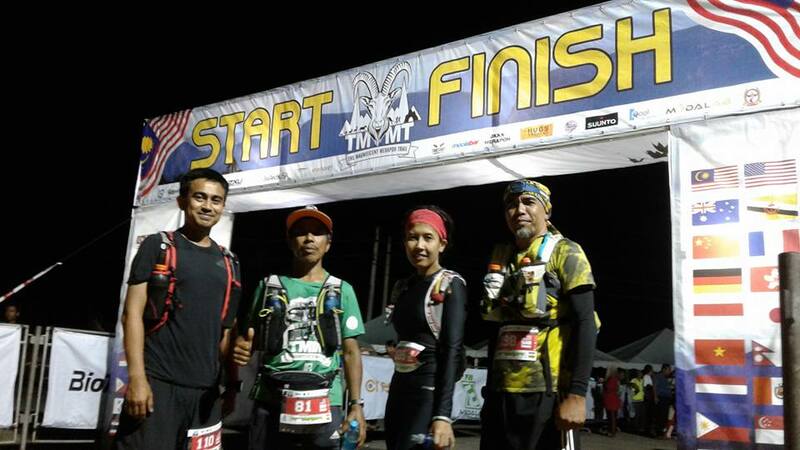 Finishing the first 100km trail marked the beginning of everything. No more feeling sorry for myself, no more regrets, no more hidings, no more wrong-doings. It’s a new beginning. Let’s all move on. “I have lived in a flurry of images, but I will go out in a freeze frame” – A. Quinn. Much gratitude for all the supporting runner friends, who kept egging each other on, sharing stories and anecdotes to motivate one another. Thank you to hardworking photographers, cheerful villagers, the tireless The Running Project, wonderful volunteers and helpful marshalls. And of course, congratulations champs! You guys are out of this world! 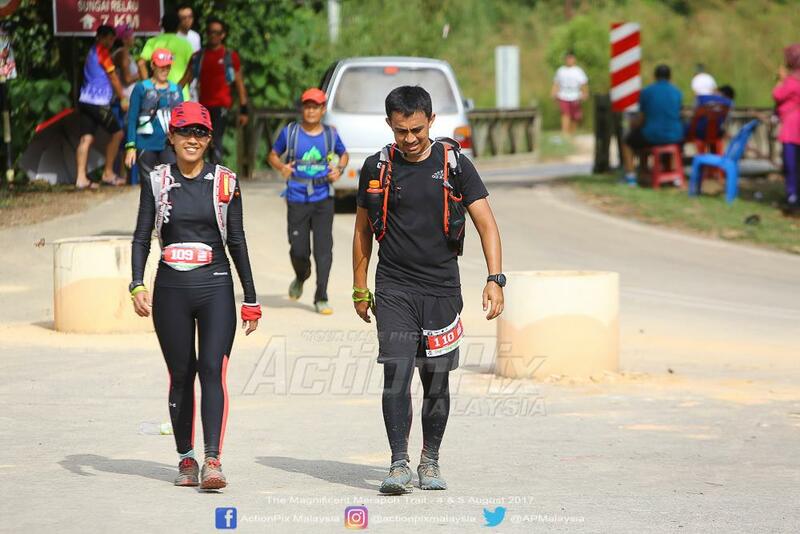 I’ll be forever indebted to two special beings – my support system / training buddies / pacers – My Pegawai Pengiring and Penghulu Kawasan who always have my back, always keep my feet on the grounds and always sticking by my side all the time. BIO: A pure-blood Saggitarian. Craves on voyages around the world, and can`t sit still for too long. That's why she runs. Wears many hats, but likes her hair runs wild. Enjoys people-watching, just as much as enjoying people-watching her. Okay, that last part is only partly true. Click here for more post from Redhippy7.